Public knowledge and beliefs surrounding antibiotic use is repeatedly found to be suboptimal. In an attempt to draw attention to this problem the following text is provided, which focuses on the most extreme outcome of antibiotic use: death. Here are four ways antibiotics can kill you. Antibiotics are medications that should be treated as potential poisons and respected for the ecological impact they impose. However, researchers consistently find that public perceptions surrounding antibiotics are suboptimal. A lack of understanding on behalf of the public puts individuals and society as a whole at risk. For the individuals who are unnecessarily exposed to antibiotics, they risk toxicity and onset of colonization with drug-resistant organisms. For society, with over 15,000,000 inappropriate antibiotic prescriptions annually in the United States alone, the economic impact of avoidable toxicities such as emergency room visits for allergic reactions is substantial . In addition and even more concerning, unnecessary antibiotic use promotes the induction and spread of antibiotic resistance. Antibiotic resistance threatens our ability to cure patients who acquire infections and in September of 2016 Ban Ki-Moon (the Secretary General of the United Nations) identified antimicrobial resistance as a fundamental threat to human health and global safety . One of most recent publications on the topic comes from McCullough and colleagues, who performed a systematic review on the public’s knowledge and beliefs about antibiotic resistance. Their analysis included studies published up until July 2014 from multiple continents, including over 55,000 participants from 54 studies. They concluded that the public have an incomplete understanding of antibiotic resistance. Further, concern exists regarding the public’s perception on what antibiotic resistance is, what causes antibiotic resistance and whether individuals contribute to the development of antibiotic resistance. With the above noted, it is readily apparent that steps must be taken to stimulate discussion and promote awareness regarding appropriate and safe antibiotic use. This is being done through a variety of means, including initiatives such as the CDC’s Get Smart Week and WHO’s Antibiotic Awareness Week. While this article cannot reasonably be expected to have the impact of the aforementioned initiatives, perhaps focusing on the worst outcome of antibiotic use can serve to stimulate additional conversation on the topic of safe and appropriate antibiotic use. The following are four ways in which antibiotics can kill you. The CDC identifies Clostridium difficile infection at the highest level of an “urgent threat” in the United States . C. difficile is identified to cause of >250,000 illnesses and 14,000 deaths annually in this country. Nearly all antibiotics can cause infection due to this organism, which manifests as diarrhea and abdominal pain, potentially leading to life-threatening sepsis. Not everyone who takes an antibiotic will get an infection due to this organism and some antibiotics impose a greater risk for C. difficile infection than others . When it comes to drug allergies, antibiotics are common offenders . Penicillin allergy labels (whether true or not) are the most commonly seen. Allergic reactions to drugs can manifest as harmless as a mild rash or be as severe as swelling that compromises respiration. Anaphylactic shock is a life-threatening type of allergic reaction. Death due to antibiotic-induced allergic reaction is relatively uncommon, but does occur. .
CDC: Is it really a penicillin allergy? Toxic epidermal necrolysis (TEN) and Stevens Johnson Syndrome (SJS) are severe adverse cutaneous drug reactions that predominantly involve the skin and mucous membranes . In layman’s terms, TEN and SJS is when a drug causes your skin to fall off. It is a terrible occurrence to which no person should be subjected and it can cause death. 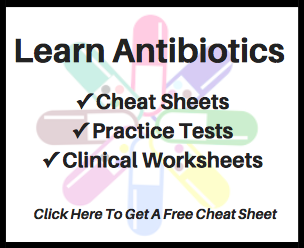 Numerous antibiotics are identified as “high” risk for inducing TEN or SJS, including trimethoprim-sulfamethoxazole (Bactrim), sulfonamide antibiotics, aminopenicillins, cephalosporins and fluoroquinolones . Each antibiotic poses its own risks. If a person experiences a side effect secondary to an antibiotic, it can be mild and have no noticeable impact or it may lead to hospitalization and even death. Macrolides, azole antifungals, and fluoroquinolones can all produce unfavorable effects upon the heart. Rifampin and oxacillin are two antibiotics that can negatively impact the liver. Amphotericin B, acyclovir, the polymyxins and beta-lactams antibiotics are among just a few antimicrobials that can damage the kidney. Ganciclovir and sulfamethoxazole-trimethoprim can virtually destroy your immune system. The list of toxicities goes on and on. To preserve the miracle of antibiotics everyone has a role to play. Through promoting safe and appropriate antibiotic use we can change the way society perceives antibiotics. It is essential that we identify the risks associated with antibiotic use, from the most benign to the most severe. It is my hope that this text will help this topic resonate with you. 1. Fleming-Dutra KE, et al. Prevalence of inappropriate antibiotic prescriptions among US ambulatory care visits, 2010-2011. JAMA. 2016;315(17):1864-1873. 2. Holpuch A. UN meeting tackles the ‘fundamental threat’ of antibiotic-resistant superbugs. The Guardian. 2016. 3. McCullough AR, et al. A systematic review of the public’s knowledge and beliefs about antibiotic resistance. J Antimicrob Chemother. 2016; 71 (1): 27-33. 4. Antibiotic resistance threats in the United States, 2013. United States Centers For Diseases Control And Prevention. 5. Paterson DL. Collateral damage from cephalosporin or quinolone antibiotic therapy. Colin Infect Dis. 2004; 38 (supplement 4): S341-S345. 6. National Clinical Guidance Center (UK). Drug Allergy: Diagnosis and Management of Drug Allergy in Adults, Children and Young People. London: National Institute for Health and Care Excellence (UK); 2014 Sep.
7. Harr T, French LE. Toxic epidermal necrolysis and Stevens-Johnson syndrome. Orphanet J Rare Dis. 2010; 5:39.